Intuitive User-Friendly Screens – Reduce time-consuming manual processes such as Time Off Requests with the use of our employee self-service windows or web-based Vacation Request tools. 24/7/365 Access to Personal Information – Whether at the office, at home, or on the road, employees granted access can view their personal information from their smartphones, tablets, or PCs, including time cards, schedules, hours, exceptions, and accruals. Empower your Employees – With multiple hardware and software data collection options available, every organization can choose by groups not just what employees can view, but what time sheet/card, schedule and hours information they can enter and edit, freeing supervisors to simply review and approve. 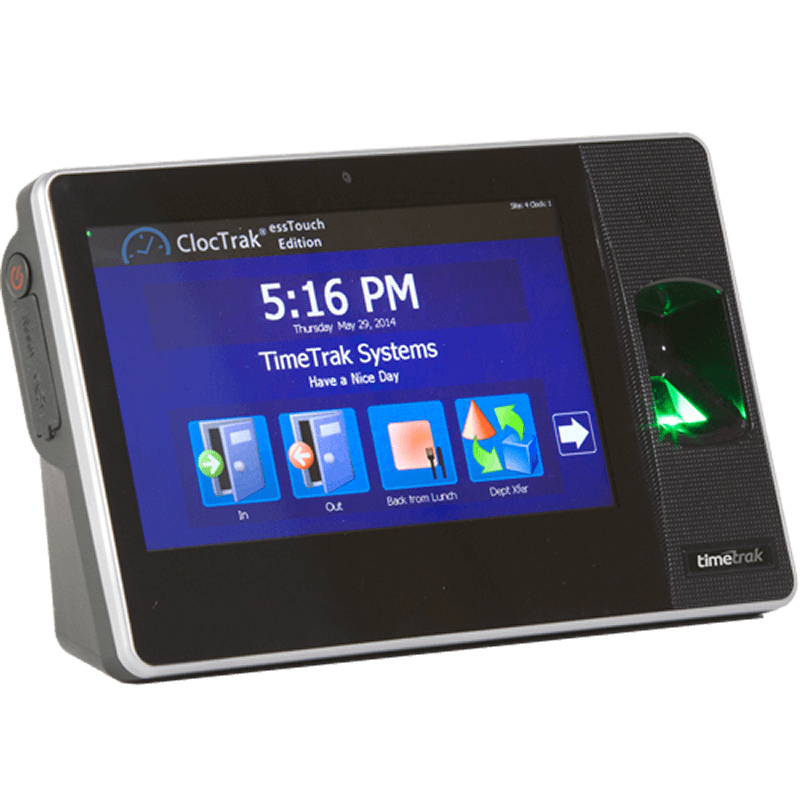 Simplify the Tracking of Labor – TimeTrak provides both software and hardware solutions that improve accuracy allowing real-time transfers of Departments, Jobs, Cost Centers and more. Collecting important labor data has never been easier.